It's amazing what can happen when you turn your back on your kid for just one second. 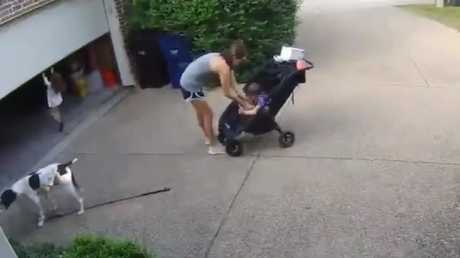 This poor mum copped the fright of her life when she discovered her child hanging off a garage door moments after she turned her back to attend to her baby in a pram. 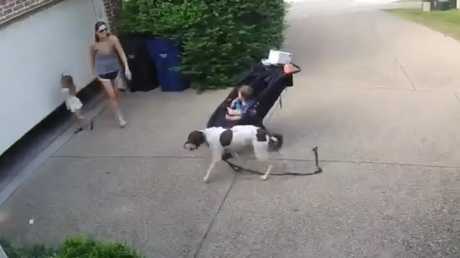 In the viral video uploaded to YouTube, you can see the woman - who appeared to have returned from a stroll with her two children and dog - walking over to the automatic garage door to open it. 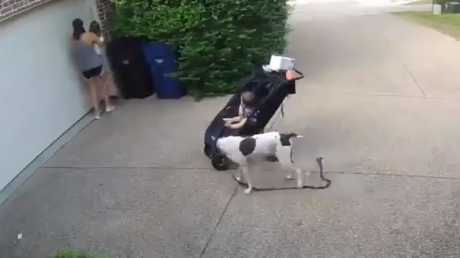 She picks up her little girl as she scrambles to find the switch while her other child patiently waits in the stroller parked in the driveway, with their pet dog (also patiently waiting). 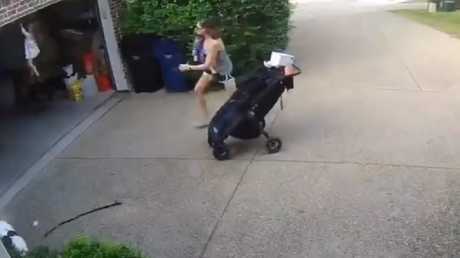 Then she puts her daughter down, walks over to the pram to unstrap her baby and within seconds the little girl can be seen riding the opening garage door all the way to the top. At this point the mum has no idea what's going on. 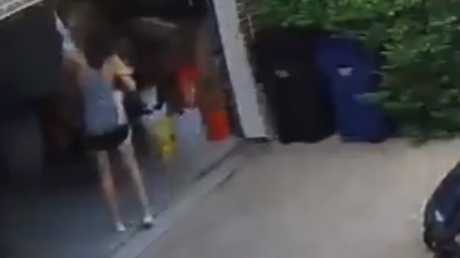 The mother-of two can be seen holding her daughter while trying to open the garage door. … the little girl takes the opportunity to ride the automatic door while her mum is occupied. Fortunately, she realises what's happening and rushes over in a panic to grab her dangling child before she gets hurt. 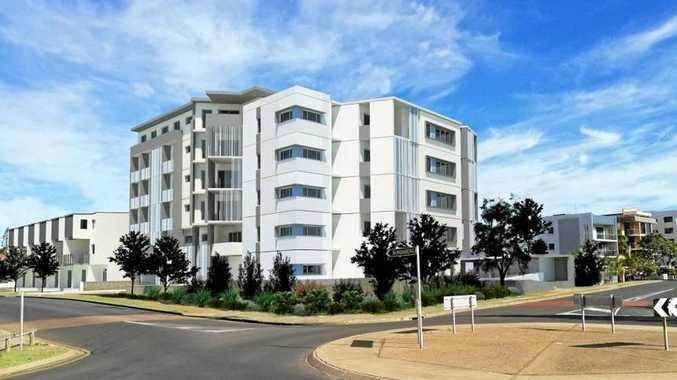 Although the young girl was thankfully unharmed, the incident could have potentially been fatal after an automatic garage door crushed a mother to death last month. Social worker Heidi Chalkley, 40, was pulled into the metal rollers just moments after asking a friend if she had ever held on to the doors, The Sun reported. As the woman unstraps her child from the pram oblivious to what’s happening behind her, the little girl is seen hanging from the door. Luckily mum realises and rushes over. 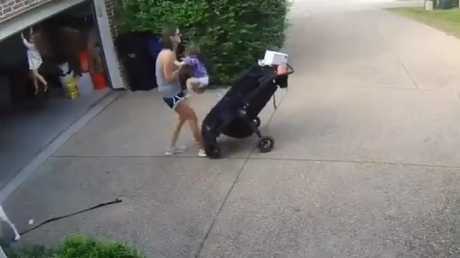 With her baby in one arm, she grabs her hanging daughter from the door. Everyone is safe.